"Are you a Pokemon fan? Do you have a Transfer Pak and a Game Boy game? THEN GET THIS"
Pokemon Stadium 2 is the second game in the Pokemon Stadium series. It is a big improvement over the original game, with more refined gameplay features and more ways to fully benefit from your Gold/Silver Version. If you haven't learned advanced battle tactics, then get ready to be pummelled because this game is hard! If you have played a Pokemon game before, you understand how to play the game. You and your opponent both take turns attacking with your own respective Pokemon. The moves are much easier to use, each one being mapped to a separate C button. You can check out the move's description, power, and accuracy with a simple press of the Control Pad. All the Pokemon you caught from Red/Blue/Yellow/Gold/Silver are able to battle in this game, a huge plus for anyone who has a game and a Transfer Pak. Unfortunately, if you do not own a Transfer Pak, or a Game Boy game, you are stuck with Rental Pokemon. Rental Pokemon have poor stats and mediocre movesets. There are many modes that you can choose from like Stadium, with various challenges involving different types of Pokemon battles, Earl's Pokemon Academy, which can provide you with a treasure trove of info about Pokemon in general as well as battle tactics. 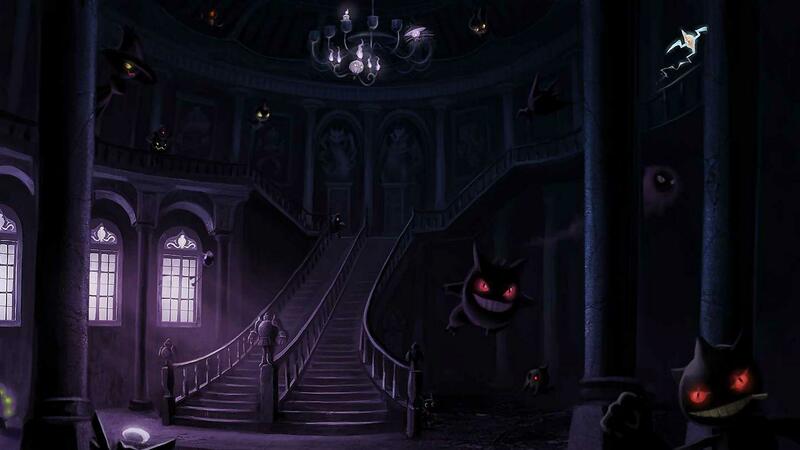 You can go to the Gym Leader Castle, and battle the 16 Gym Leaders, the Elite 4, your Rival, Red, and Blue. You can go to Prof. Oak's Lab and organize your Game Boy game's PC, receive the Mystery Gift as well as move Pokemon between the N64 cartridge and Game Boy Game Pak, you can go to free battle to battle your friends, there is a 3D version of your room, the GB tower for playing the Pokemon Game Boy games from your Transfer Pak, and there is a daily Mystery Gift. Pokemon Stadium 2 also has several fun minigames. Your own Pokemon can participate and gain happiness points. The minigames are also playable with up to 3 other friends, so everyone can join in the fun. All the controls are easy and accessible. When battling, a lot of commands such as switching Pokemon, Fight and Run are mapped to specific buttons. Your attacks and Pokemon are mapped to the A, B, and C buttons. The graphics in this game are mostly 2D until you enter a battle or a minigame. The 2D has the same feel as the Anime series. The 3D during battles is impressive for an N64 game due to the lack of noticeable jagged edges. The attacks are beautiful and they are a huge step forward for anyone who is used to the Game Boy's graphics. The only small drawback to this game's graphics is that your Pokemon never actually hit each other when using physical attacks. This is only a very small drawback, because making the Pokemon hit each other would put too much stress on the N64's CPU. The sound is not this game's strongest point. If you've played the Game Boy games, you'll notice that the sound during the battles is a remixed version of the Game Boy games' music. Pokemon Stadium 2 also introduced a few new tracks as well, but there are many more old tunes and less original tracks. There is also an announcer during the battles, who announces the moves that you and your opponent make. The commentary may get a bit repetitive, but there is an option to turn it off. Earl from the Pokemon Academy was also given a funny Mario-esque voice. Why did I give this game a 10/10 for difficulty? It puts all of your past Pokemon experience to the test. This time, it's not about brute strength and having a higher level than your opponent. This time, you need to train all your Pokemon to achieve high stats, powerful movesets, and use a proper strategy to defeat your opponents. The CPU controlled trainers are no joke, either. If you are not careful enough to counter their strategies, you'll quickly lose the battle. Let's not forget that the CPU seems to be extremely lucky at times and you'll find yourself wondering why a move with an accuracy rating of 90 would miss at the most critical moment. This is game you will definitely not want to pass up. It is a great game for anyone's N64 collection. It has improved greatly from the original Pokemon Stadium game If you are a fan of the Pokemon series and have your own Game Boy game and a Transfer Pak, you'll see the fruits of your labour when your trained Pokemon get you through the game. Even without a Transfer Pak, the game is a lot of fun to play and you will not regret getting this game.